Today I am giving you a tutorial on a very interesting topic, How to Install JArvis on Windows. Convert your laptop into ironman’s Jarvis. In other words, How to Install Jarvis on Windows PC and we’re going to use rainmeter software to add some amazing Jarvis features. Cool isn’t it. This post is 100% Genuine and verified. If you have running windows operating system on your laptop/desktop, So you must try this article. Go ahead and spend some time to read it fully and I will prove that you’re your time will be worth it. 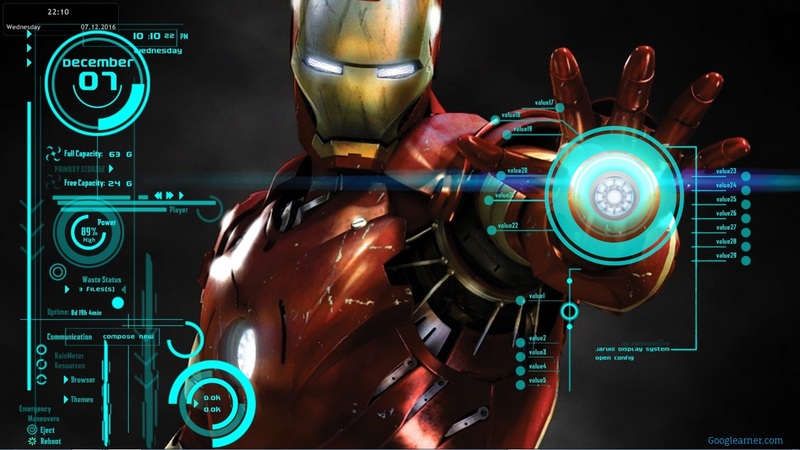 Through this tutorial, you can make your laptop like Ironman’s JARVIS. You can control your laptop by giving voice commands to the system and your system(laptop) will reply you back and also do all operations by following your voice commands, as you have seen JARVIS in Ironman movie. Just follow this tutorial and you can make your laptop as your personal assistant. (JARVIS). Step 2. Installing Windows Speech Recognition Macros. Step 3. Installing Rainmeter then Jarvis Theme. These all files are needed in this article and you have to download. Rainmeter. 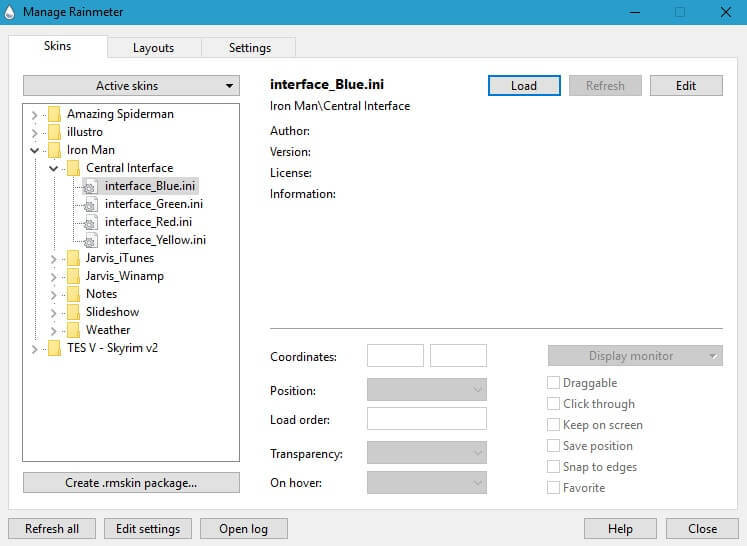 This is a theme installer, we use this software for installing Ironman theme in windows for giving ironman visual look, got it. Rainmeter also has some good feature as it will provide weather report when you’re connected to the internet. IronMan Theme. We need to install ironman theme after installing rainmeter for giving ironman look to the laptop, as we talked it before. IronMan Desktop Wallpaper. You can also set the IronMan wallpaper to the desktop, but its all up to you. Windows Speech Recognition Macros. This is the software provided by Microsoft, the main part of this tutorial. This software can do all Speech recognition operations on your laptop, that’s because this software is very important. Basically, we’re providing all files containing in a .zip file. For your convenience. After downloading all files, start the setup installation of all files. You already have downloaded this software file from download package, just install this software, setup microphone, open and start the training. 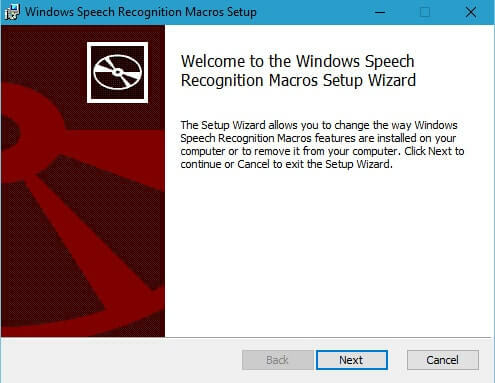 You will get knowledge about installation the windows speech recognition macros software in step 2 but in this step. 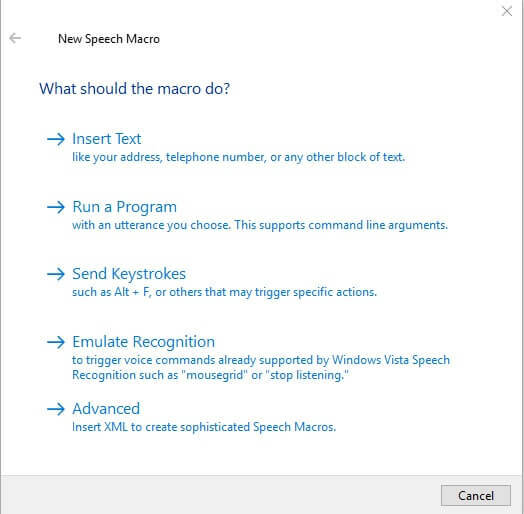 We’re concentrating on all the basics you need to know about windows speech recognition macros software, Hope you got it. Note: Training process is might be boring but Don’t skip the training, training will help you to understand the speech recognition. Simple commands and at the same time it helps the system to understand your voice better than anyone’s else. Microsoft has already gifted you a “Speech Recognition” facility that listens to most of the basic commands. Windows Speech Recognition is one of the “underrated features” of Windows. But, you need to set it up first before we bring in the more awesome features. Simply search for “Speech Recognition” in your Start Menu and you will be navigated to the Windows Speech Recognition Tutorial directly. The steps are quite simple, I have got a complete tutorial for it. But it’s little complicated, so I’ve kept it separate. 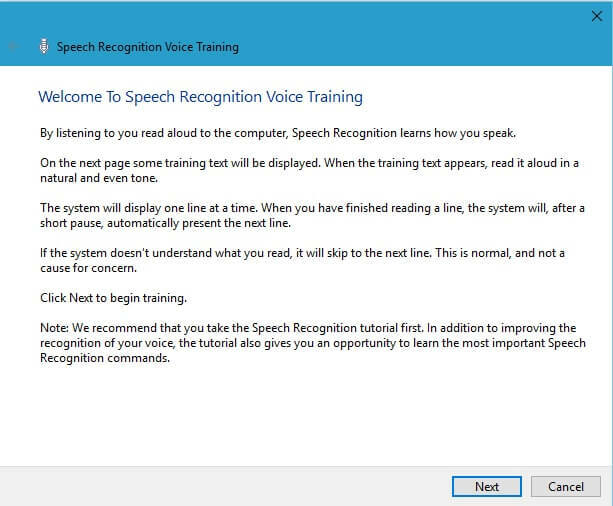 Make sure you take the Windows Speech Recognition Training. It is a boring but important step. Windows Speech Recognition Tutorial will guide you through the commands and in the meantime, also train your computer to understand your voice better. So, after you take the tutorial, you will notice that your system understands your commands better than anyone else’s. Awesome, isn’t it. You now know all the basic commands and now can control your computer with your voice. Use it and get more and more familiar with it. Tip: Whenever you are stuck, you can say “What can I say?” and your system will show up the list of the commands and their effects. Next, we have to install the Windows Speech Recognition Macros. The installation file is found in the ZIP file you downloaded. Install Windows Speech Recognition Macros using that setup file. You just have to click on the “Install” button and your software will be ready. Now, open Windows Speech Recognition Macros and you will soon find the icon in the Notification Area of the taskbar. Right-click on that icon and you will receive some options. Click on “New Speech Macro”. Now here you have a variety of options. Basically, Windows Speech Recognition is meant to create your own commands with specific actions. Can’t we satisfied with the basic functions only right? Insert Text: Suppose if you use Microsoft Word through Speech Recognition and don’t want to type your address again. You can set a specific phrase for your address and whenever you say that phrase, your address would be typed automatically. Run a Program: There are default commands such as “Start WordPad” and “Start Notepad” for WordPad and Notepad respectively. There are commands for some other programs too! But what about the rest. This option can allow you to execute any program, maybe your favorite game by just speaking! Send Keystrokes: Take a situation where you want to select all the text and copy it to the clipboard. Can you do it by just speaking? Oh yes, why not? This option allows you to add phrases for different keystrokes such as Ctrl+A and Ctrl+C! Emulate Recognition: This is for the commands already supported by Windows Vista Speech Recognition. Advanced: We are going to use this option for creating “Macros” for all our commands. However, this requires brief knowledge of XML But don’t worry you can create as many commands as you want from the below blueprint. Note that the codes are listed in the order in which they are supposed to be used. <speechMacros> – This is just a starting tag. This indicates that the code is actually for Windows Speech Recognition Macros. <command> – This, in short words, is the command to be executed. Sometimes your demands are fulfilled with just a single command. However, in some cases, you would need more than one command too. <listenFor></listenFor> – Whatever you are going to speak is supposed to be written between these two tags. Don’t forget the close tag or else your code will not work. Note that “F” in “For” is capital and not small. <speak></speak> – These tags should include the text your system is supposed to speak after listening to your command. </command> – This is the closing tag of <command> tag. You would have observed by now that XML is like HTML. It has both opening and closing tags for every element, with a few exceptions. </speechMacros> – As you would expect, this is the closing tag of <speechMacros>. Sounds confusing? Well, I am going to give you some codes for direct usage! Yeah, I have literally included lots of examples here. You probably won’t even need to create your own commands. But before that, I want to tell you that it is extremely important to digitally sign your macros. So before creating every single macro, you have to create a signing certificate! Every macro will need one certificate. For creating a signing certificate, right-click the Windows Speech Recognition icon in the notification pane, then go to Security, then press “Create Signing Certificate”. I love this one the most! It feels honored to be greeted by my system, you know. Here is a Macro forgetting the weather. You can see that it’s a bit complicated to understand. But no worries! You just have to copy this macro and replace the highlighted with the desired details. Note: Many people have not been able to use this code properly. Do not panic if this doesn’t work for you. Move on to other commands. Replace CityName with the name of your city. Zip-code can be obtained on the Weather Codes website. This is a Macro for restarting your computer. Simply say “Restart JARVIS” and your system will restart! Here is a Macro for shutting down your system. Say “Goodbye JARVIS” and your system will shut down! Important tip: If you facing issues to save all commands, then you have to do is to remove inverted commas “ and write again, it will definitely work. Did I horrify you with too many codes, well note that None of the codes gives here are mandatory and you can always skip or modify any piece of code! After all, your system, your rules. Relax, The complex part is already over! You just have to install the duo – Rainmeter and Iron Man Theme. Both of which are provided in the files. Rainmeter is the supporter of your Iron Man Theme. Now, change your desktop background (Wallpaper) to any of the two Wallpapers provided in the files. You now have to load the theme skins in Rainmeter. You have four colors to choose from – Blue, Green, Red, and Yellow. While I like blue, it’s completely up to you from which to choose. You will notice that all the elements will be found at just one place. Rearrange them the way you like and Voila! Your system really looks like JARVIS now. But hold on! Your desktop icons are still visible and that ruin the look. There’s a solution for that too. Simple, right click on your desktop, hover to view, then uncheck “Show desktop icons” option. Now you can see the preview of my desktop. Really looking Awesome, Now I am feeling like my lappy is my personal assistant and it reads my all commands like Jarvis. I know this Article is a little long but I am assuring you, the step is very easy, you can do it very easily by following steps. This post really Awesome, If you face any problem related to this post just write in comments I’ll help you.